Children bring a packed Lunch. We can provide milk and water to drink, if required. 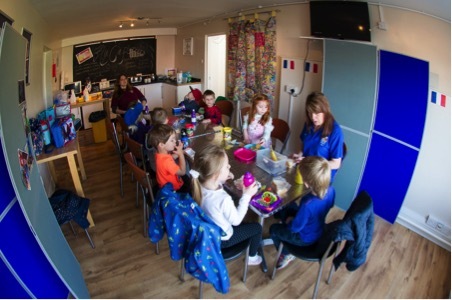 Children are escorted to the Bistro by two members of staff where they sit together around a table to eat their lunch and have a chat. When everyone has finished their lunch children choose from a variety of activites before returning for the afternoon session.